If you are one of the biggest fans of the currently streaming NETFLIX TV series of NARCOS you may well be questioning what is next? Though considered as the most notorious drug trafficker, Pablo Escobar was recently surpassed by another all-time Spanish drug trafficker called ‘El Chapo’ originally named Joaquin Guzman. 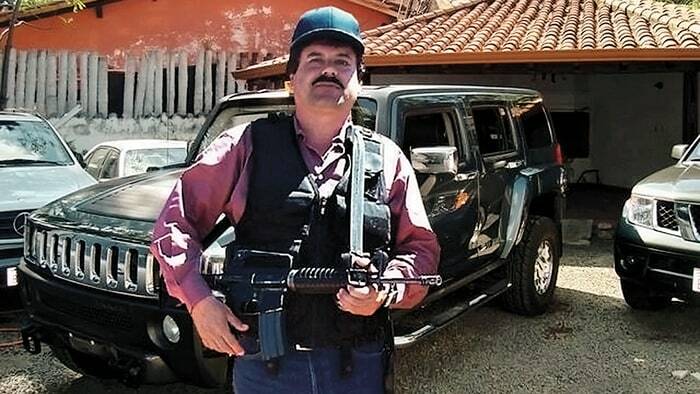 Born to a farming family in the state of Sinaloa, Guzman began his days of crime as child shuttling oranges. By the age of 15, Guzman had cultivated his own plantation of marijuana in order to support his family. He went on to earn the title of El Chapo (Mexcian slang word for ‘shorty’) during his adolescence. He got involved in the transportation of contraband under the influence of his uncle at the age of 20. He even coordinated movements of large shipments of marijuana and cocaine for El Guero Palma, the former head of Sinaloa Cartel. Being extremely ambitious Guzman would often pressed on smuggling more narcotics and he always came up with creative ideas for trafficking and distribution of drugs. One of his most popular included leasing an airplane hangar for constructing tunnels beneath the US-Mexican border. Tales of his escapes from prisons are enough evidence of his ingenuity. During El Chapo’s first escape in February, 2001 he bribed a Mexican guard to electronically open the cell door and hid in a laundry cart which was carried all the way out to the front door. The plan was carefully masterminded by influencing and bribing many Mexican officials. His extremely daring second escape from a maximum level security prison made his intelligence and power quite clear. After two daring arrests and equivalent masterminded escapes and post two biggest manhunts, the CEO of Sinaloa Cartel was finally arrested in 22nd February, 2014. Titles of Drug Kingpin, Crystal King and the Next Pablo Escobar have been given to him. Forbes even listed him on the index of most powerful people at a positon of #67 in 2013 and on #63 on the list of billionaires. At the age of 59 he is still said to handle the operations of Sinaloa drug syndicate from inside the prison. Many have even stated that he holds a PhD. In Drug trafficking. As of 2016 his net worth is estimated to be $1.4 billion.